Striated Heron - on occasions this bird actually uses tools to fish! Using a lure by dropping a feather or leaf carefully on the water surface and wait for fish that come to investigate! They feed on small fish, aquatic insects and frogs. 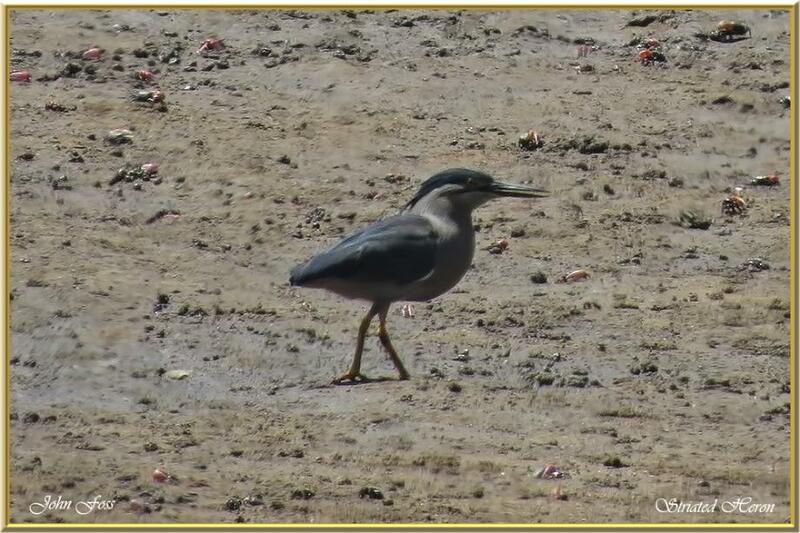 I photographed this bird at a distance at Bagara beach Queensland Australia. Hoping to get closer next time!